Layne Norton's PHAT turned Paul into a bodybuilding encyclopedia. The information equated to dominant competition performances and a successful personal training business! I grew up in a big football town where you earned most respect by what you could do in the weight room. I was naturally a small individual, and actually did not start to grow until my junior year of high school; I entered freshman year at 5'1'' and started senior year at 5'10''. Being small to begin with, I had a solid work ethic in the weight room and did my best to impress others. 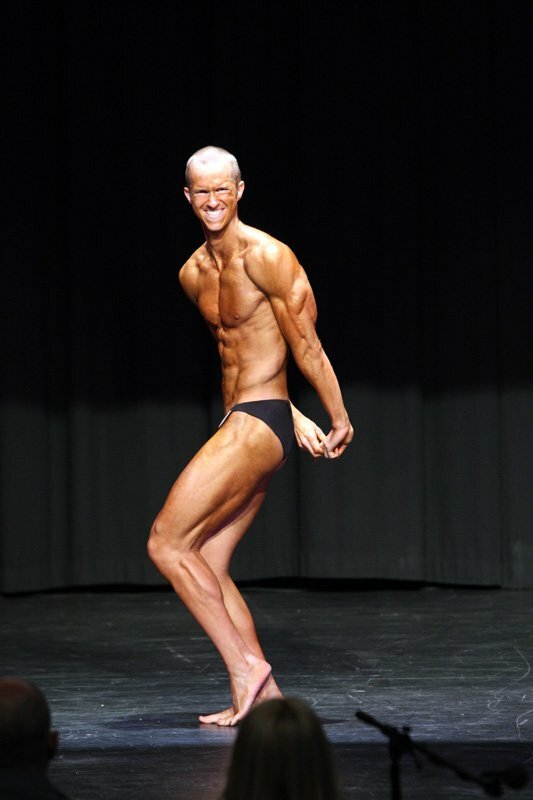 Unfortunately, from my desire to impress others, my form was terrible and I skipped working important muscle groups (I did not start religiously working my calves, traps or biceps until sophomore year of college). Upon entering college, I still loved lifting weights. The post-workout high and rush I obtained while lifting was "my drug" and could be replaced by no other feeling. I was very committed to the gym, always making it my top priority, even over class work. However, I never had any goals. I went in, worked out and left. I repeated this routine 5-6 days a week. I was probably overtraining the majority of the time. Through my first year of college, I tried multiple supplements in an attempt to find that "magic" supplement to help put on mass (just like everyone else). Nothing really worked for me, but I enrolled in a CORE class at Maryland University and my life changed for the better. I truly began to learn about proper nutrition and how to apply this around my exercise. At the end of the class, I actually changed my major to dietetics because I fell in love with the field of nutrition and how it can be applied to directly benefit exercise. 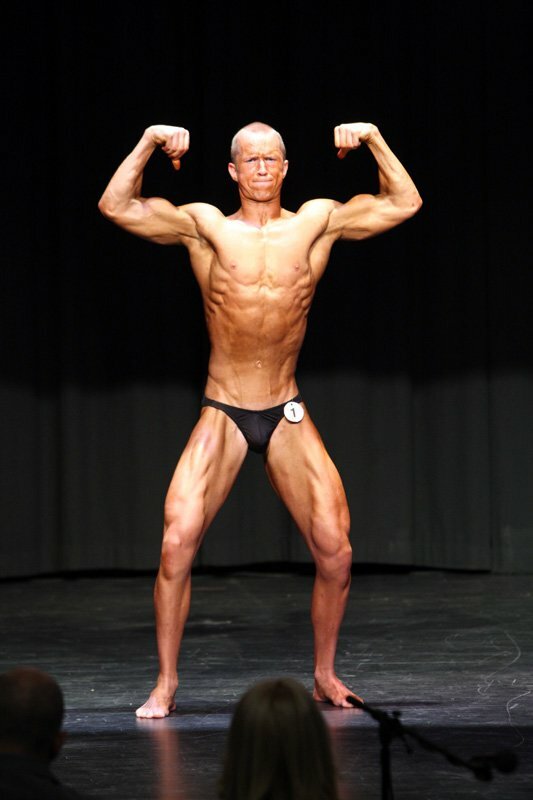 Sophomore year of college was the first time I came across Bodybuilding.com. When I decided it was time to set a lifting goal for myself I was seeking a new type of workout plan. I was immediately overwhelmed by loads of new information and can honestly say I spent most classes on my laptop reading various articles on lifting and nutrition. I also came across the work of Layne Norton. I could write many more paragraphs on how Layne has changed my life, but to keep it simple: His work inspired me more and really motivated me to pursue what I loved. Spring of my sophomore year, I decided to design my own nutrition program, commit to a similar PHAT routine and embark on a 12-week cut while preparing as if I were going to compete. I did this to prove to myself I could actually commit to this lifestyle, as well as to test my true love. In the end, I fell in love with the results and had no issues with the diet. I learned so much in those 12 weeks and through my continuous learning process. I still eat the same way; four meals daily, and a high protein diet coupled with moderate carbohydrates and low fat intake. I target my macros and eat foods I enjoy, all while still weighing out each portion. I continued this lifestyle and in January 2012 I signed up for the NGA Natural Bodybuilding Competition in Annapolis, Maryland. I began a life-changing 18-week journey where I eventually went on to win the Men's Novice Lightweight Division as well as the Men's Novice Overall Division in my first show! I was so shocked with my results and committed to train for future shows. After coming across Layne Norton's PHAT routine and learning why he suggested this method of training, I was convinced to try it. I have seen more results from this routine than anything I designed in the past and have continued with it ever since. I loved the idea of always mixing up exercises every few weeks to keep it new. I also thoroughly enjoy lifting heavy and chasing the pump all in one week! A big key for me on the hypertrophy days is making sure I establish the mind-muscle contraction and really slow down and feel each repetition. I usually de-load every 3-4 months or as I see fit with how my body is responding. I am a big believer in eating what I enjoy. I hate the word "diet." I consider the food I eat a lifestyle as part of fueling my body for my workouts and to enhance my physique. The diet below is a typical Tuesday diet; I actually have typed up diets for each day of the week with different foods to keep things different and exciting for each day. Typical substitutions include: salmon for pork, ground turkey and/or tilapia for chicken breast as well as switching up between an array of vegetables. I was always very health conscious and found myself limiting my intake at meal times, especially desserts, and not eating out very often. I never really ate fast food, but would opt to go to Subway when presented with the opportunity. I grew up playing baseball, football, lacrosse, and tennis, so I was always very active and into keeping myself in good shape. Lifting weights became essential as I entered high school, not only to keep up with others, but also because it was the culture of my school and football team. I grew to love weightlifting and asked for a bench press set and some dumbbells for Christmas one year so I could lift more than when the school offered weight lifting after school and in the offseason. It was not until college, however, that I got very serious about lifting and dieting after taking a basic nutrition course. Not only do I love all of the planning and attention to detail required to succeed in bodybuilding, but I love that the outcome of any competition or how I want my body to look is solely dependent on my effort or actions. Specifically, I am aware that I am not blessed with a huge frame to start with, so I cannot control how my body was to begin with. However, I do know that I can control 100 percent of what I feed my body and 100 percent of the effort I give into shaping and building my dream physique. This is what motivates me. I thoroughly enjoy planning out my eating for the weeks to come, whether it is to prepare for a competition or the aftermath, as well as planning my training progression and manipulating my splits. This is something I consider a hobby. I had the first four weeks of my eating plan laid out for after my competition three weeks before my competition! This lifestyle is something that I truly enjoy and through my continuing education I hope to continue to build upon my knowledge in order to share it with people looking to achieve similar success. I believe my strongest feature is my self-discipline and love for the gym. There may be a busy day where I have to push in the gym to late at night, but nothing for me has ever come close to that intra-workout "high feeling" I get while lifting weights. It would never be worth it to me to miss a workout, regardless of my fatigue or time of day. Inspiration and motivation to get there is never an issue. Whenever I am in a "bad" place, I tend to listen to music to get my mind right and I will also warm-up an extra 5-10 minutes to get in the zone. Upon graduation from the University of Maryland in May 2013, I have to complete a nine-month internship to obtain my RD license; I plan on continuing my training to slowly put on size and improve symmetry in order to compete again as soon as I complete my internship. I currently work as a personal trainer and am in the process of starting my own meal plan and personal training business as well and hope to continue making great strides on that major project. I hope to also work with others who decide to compete and be able to coach them or at least contribute my knowledge to their contest journey of success. The most important piece of information I think one should know and take into consideration when committing to a bodybuilding lifestyle is to make sure that he or she has a passion or hobby outside of bodybuilding that he or she can enjoy. One cannot spend all of their day in the gym and around food. If you do not have other activities to enjoy, it makes contest preparation much more difficult as one will constantly be driven insane by boredom and stress of having nothing to do. Layne Norton's fascination with the body and how he uses what he studies/learns and directly applies it to his lifting and diet has further enhanced my passion for nutrition (Dietetics & Biochemistry). He is the most dedicated, yet selfless person I have come across in the field and I truly admire his dedication and hard work; I especially admire his continuous disproving of BroScience through real science! I love learning new information in regards to nutrition and weightlifting styles/techniques and being able to use this information to enhance my own performance and physique. Layne truly inspires me to better myself through further education and to train my A$$ off in the gym! Bodybuilding.com opened my mind to so much information that it basically became a fifth class during a semester of my sophomore year of college. The information and resources, mainly nutrition and lifting techniques, as well as becoming exposed to Layne Norton, completed changed my life for the better. I created a BodySpace to support and learn from others and love following feeds on the Forum in the contest preparation and nutrition sections. I usually check the site daily for new articles and to keep up to date on following forums. I owe a lot of my success to Bodybuilding.com, not only for the information and resources, but for the outstanding customer service, pricing and products!